Have you ever felt trapped? Well Maximus and Tru both feel like that at times because of the trauma they have faced. Despite being a smart and very affectionate kid, he sometimes allows his past to affect his behaviors. His brother Tru’s trauma and diagnoses of Autism and MR cause him to fight back at the world sometimes, and he just simply longs to be treated like any other kid. 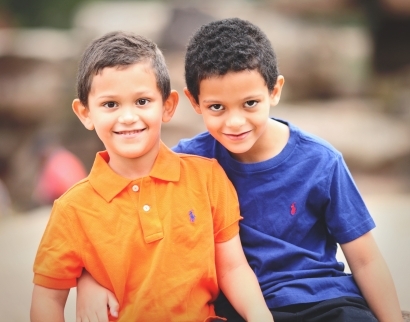 Maximus and Tru need the help of a forever family to show them that they don’t have to stay trapped. Maximus can flourish as he enjoys reading, building, Legos and video games, while Tru is a young boy that can get along with others and is the next genius of the gaming world. Their forever family will need to be a two-parent family, other children in the home are just fine, and pets are a cherished hope for the boys. Are you the family they have been longing for? You may just be the forever mom or dad that Maximus and Tru have been waiting for. For more information inquire below.